Founded in 1987 La Senda started off as 2 schools in Getafe, Madrid. In 2010 they were linked to form the school we have today . Nowadays La Senda is a bilingual school that teaches the following subjects in English: Art, Technology, Physical Education, Social Sciences, Biology, Physics, Chemistry and of course English itself. The staff is made up of 56 teachers, a large administration team and several language assistants who come to the school every year to provide support in the English speaking classrooms. Please enjoy the following video about La Senda and the Bilingual Program, made by Rodrigo Abril and Claudia Sánchez. 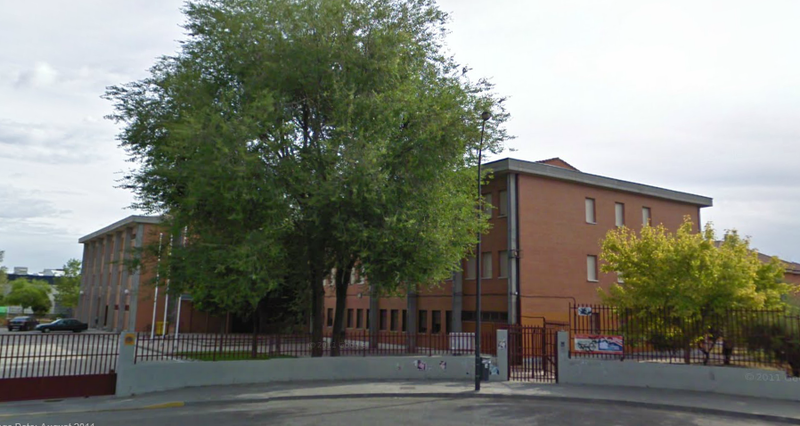 This blog/website is maintained by teachers and teaching assistants at Instituto Bilingüe La Senda in Getafe, Madrid. It is intended to be a source of news/information for both students and parents. As with every year here at IES La Senda we are sure to see our students progress in the arts, sciences, languages, and everything academic. We are excited for this year and also excited to introduce this year’s Auxiliar team. They are five young professionals from the United States of America. They are here to assist students to improve their English and to share their culture. They are a great help for our teachers too. I’m here as a Fulbright Fellow. I help facilitate the school’s Global Classrooms initiative. Florida Fun Fact: I personally think that Florida is the Spain of the United States (lots of orange trees, lots of Spanish speakers, beautiful beaches, laid back culture). Favorite food: Bahn mi, a Vietnamese sandwich. I worked as a vegan chef in the states for the past few years. I love to make it with fried tofu, jalapeno endured mayo, coconut peanut sauce, and lots of pickled carrots and daikons. Superpower of Choice: The ability to pause time. Spirit Animal: I believe that my spirit animal is the Pokemon snorlax, as I can sleep for days without issue. Colorado Fun Fact: Colorado is home to 52 mountains with elevations measuring more than 14,000 ft(4,267 meters). Minnesota Fun Fact: It can be -30C in the winter time! Superpower of Choice: The ability to breathe underwater. Spirit Animal: Probably something that can fly. Owl, I’ve been told. But also a snow leopard. Rhode Island Fun Fact: They are both interesting because they both contain a lot of land that used to be Native American territory, land where the American revolution was fought on, Boston tea party, Boston Massacre, Salem Witch Trials, etc. Superpower of Choice: I am technically clairvoyant. California Fun Fact: It’s best known for Hollywood and Los Angeles being major producers in the entertainment industry, the Golden Gate Bridge of San Francisco, Silicon Valley and the tech industry. Favorite Food: Mangoes and Sushi but not together. Superpower of Choice: The ability to fly.